Port-au-Prince (AFP) – Haitian President Michel Martelly named veteran politician Evans Paul prime minister to lead a new government, as he seeks to defuse a crisis over long-delayed elections. A nationwide uprising against the regime of business partners President Michel Martelly and Prime Minister Laurent Lamothe continued to gain steam this week with massive demonstrations in several major cities, including Port-au-Prince, Léogane, Petit Goâve, Cap-Haïtien, Fort-Liberté, Ouanaminthe, and Aux Cayes. 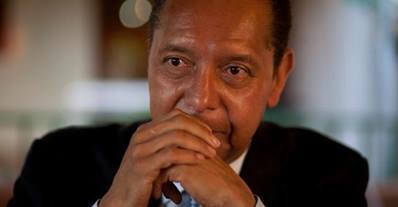 The former Haitian dictator Jean-Claude Duvalier, known as Baby Doc, has died of a heart attack aged 63. 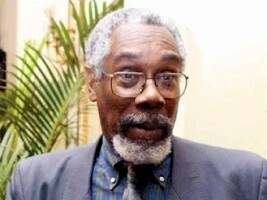 The ex-president’s lawyer, Reynold Georges, said he died at home in Port-au-Prince of a heart attack on Saturday. 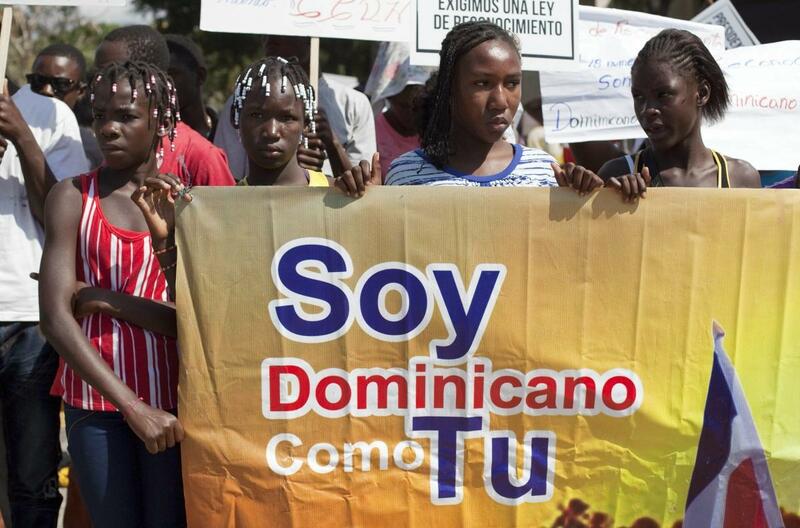 Children of Haitian descent born in the Dominican Republic are increasingly being barred from attending school following a court ruling that could lead to tens of thousands of people being stripped of their citizenship, according to a report released Friday. Dozens of families with school-age children say they are being turned away or harassed due to arbitrary interpretations of the court ruling and Dominican laws, according to researchers at the Human Rights Institute at Georgetown University Law Center who compiled the report. As a result, some children drop out of school or lose scholarships while others are forced into underage labor, said Kimberly Fetsick, one of the report’s authors. 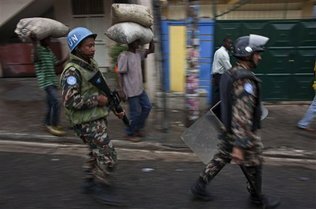 UNITED NATIONS — As an increasingly confident and stronger Haitian police force take control of Haiti’s security, major crimes are seeing a double-digit drop and the United Nations is intensifying discussions about its future in the country. The talks of a reconfigured U.N. Stabilization Mission in Haiti, known as MINUSTAH, comes as peacekeepers prepare to mark 10 years in June, and as Haiti’s clashing politicians shows signs of compromise. 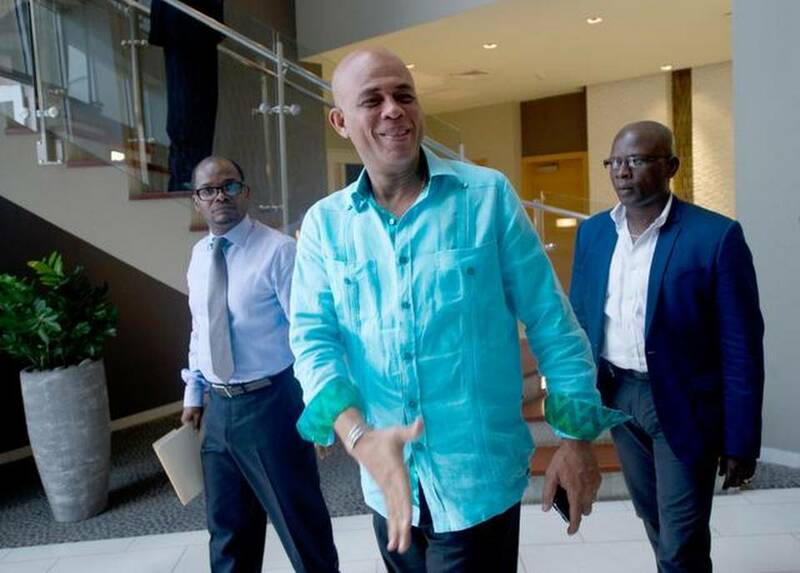 Earlier this month, President Michel Martelly, lawmakers and political opponents signed an agreement creating a road map for long overdue local and legislative elections later this year. “We are encouraged by recent announcements that these elections will take place this fall, but these words must now be turned into action and must translate into voters casting their ballots at the polling stations,” Canada’s U.N. Permanent Representative Guillermo Rishchynski said Monday. Rishchynski, and other U.N. Secretary Council members were asked Monday to consider five broad options for a reconfigured U.N. presence in Haiti post 2016. The options range from a special envoy, special political mission to a new mission — all with no military component. The other two options are a new mission with a small military quick reaction force or a renewal MINUSTAH’s mandate with a continued downsizing of its 5,702 troops. The options are outlined in a report by U.N. Secretary General Ban Ki-moon. 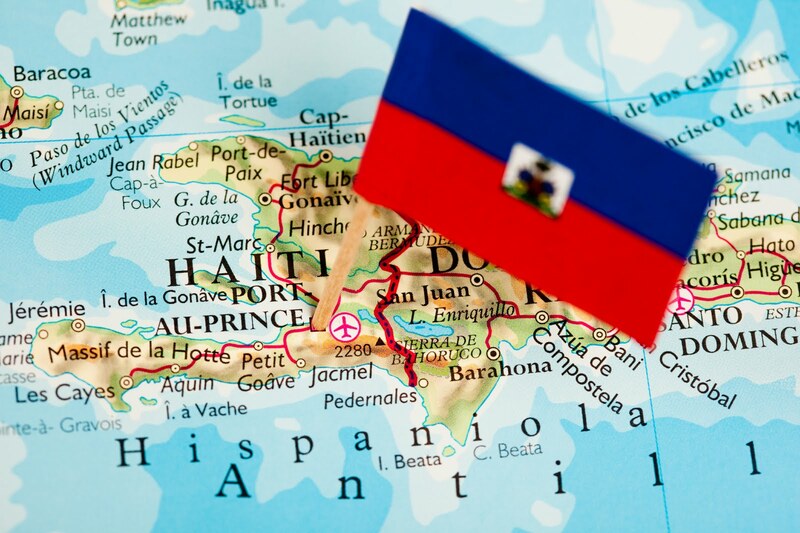 It notes that between 2012 and 2013, Haiti saw a 21 percent drop in homicides, reversing a five year trend, and kidnappings dropped by 53 percent. Guy Alexandre, a former Haiti ambassador to the Dominican Republic who recently published a book on how to improve the relationship, died Friday of a heart attack. He was 68. Born in St. Marc, Alexandre was first assigned to the Dominican Republic in 1991. His diplomatic career ended in 2003 during the uprising against former President Jean-Bertrand Aristide. 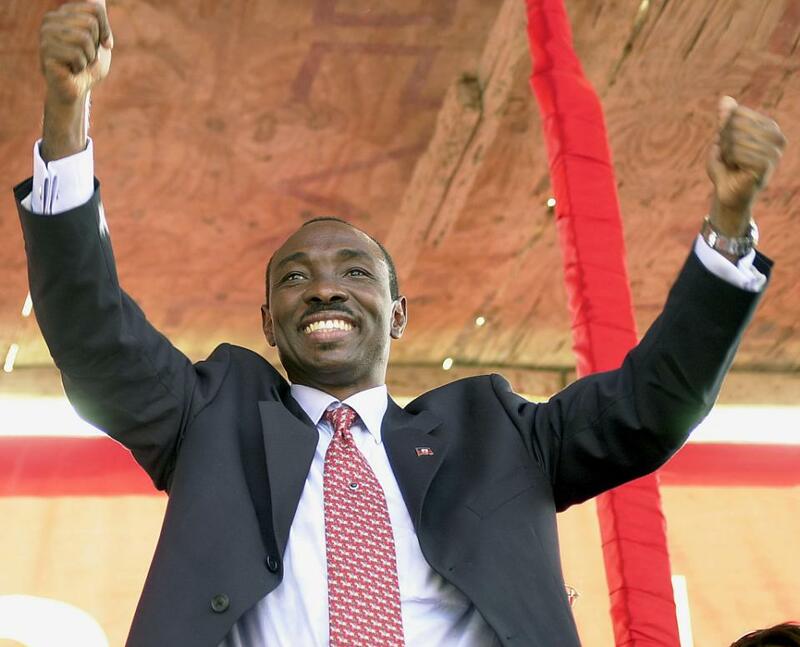 Alexandre would later serve as an adviser on international relations under Haiti’s 2004-2006 interim government. He then joined the International Organization for Migration in Haiti, serving as a senior adviser and program manager where he, among other things, oversaw a program for returning deportees. “In a way, he was the institutional memory of Haiti on migration and as such was a valued expert on the subject for IOM,” said IOM spokeswoman Ilaria LANZONI. But it was Alexandre’s expertise on Haiti-Dominican relations that made him the go-to person for journalists, activists and governments seeking a better understanding of the tense diplomatic relations. In recent months, he had become invaluable as both nations met to address a number of issues, including last year’s Dominican court ruling stripping citizenship from persons born to undocumented foreigners. The issue deeply worried him, his wife said. “He could have been the person to bring the voice of reason on how we can approach that problem,” said former Haitian Prime Minister Gerard Latortue. For two months last year, retired gynecologist Nicole Magloire arrived at the packed Port-au-Prince courtroom weekly and took her usual seat — front row, just to the right. Magloire, 75, did so again Thursday as a three-judge panel reconvened after a nine-month hiatus to decide on the fate of former President-for-Life Jean-Claude “Baby Doc” Duvalier. She didn’t expect much. Then the judges dropped a bombshell: allegations that Duvalier tortured, killed and imprisoned opponents should go forward. The judges’ decision to reinstate crimes against humanity was a huge blow to the frail former dictator, who has been battling to stay out of prison since returning in January 2011 from France after 25 years in exile. Reynold Georges, Duvalier’s lead attorney, said shortly after the ruling that he wanted to reserve comment until he reads the decision. Georges also argues that in Haiti the statute of limitations on human rights crime is 10 years and international law doesn’t apply because Haiti never ratified it. “You cannot condemn someone using a law that doesn’t exist,” he said. Nicole Phillips, a human rights lawyer with Boston-based Institute for Justice & Democracy, praised the ruling, as did others, including the Canadian government. 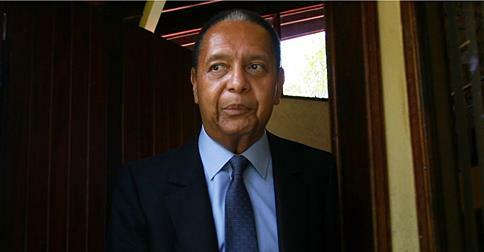 Duvalier has long maintained his innocence. In a 2011 interview with the Miami Herald, he and his lawyers punched holes in the 25-year-old legal case. They challenged it on procedural grounds and argued that the statute of limitations had expired. But even as Magloire and human rights observers applaud the appeals court’s decision, they were not always so confident after launching their fight to overturn an investigative judge’s 2012 decision that Duvalier should only face the lesser corruption charges. They questioned whether the case would move forward. President Michel Martelly had suggested during the campaign that amnesty be granted to Duvalier and former President Jean-Bertrand Aristide, who also had returned from exile. 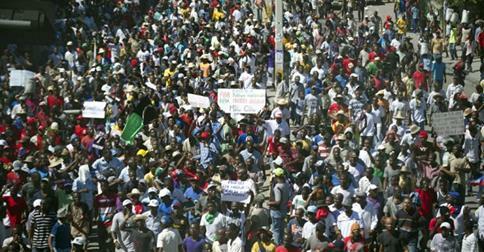 Martelly later backed off the statement, saying he would let the judiciary do its work. Last month in an unrelated case, an investigative judge stopped short of accusing Aristide in the unsolved high-profile political assassination of Haiti’s most well-known journalist, Jean Léopold Dominque. Instead, the judge recommended that nine individuals be charged in his 2000 murder, including an ex-senator from Aristide’s political party. The recommendation is now in the hands of another three-judge Appeals Court panel. In a move his supporters call efforts to reconcile Haiti’s past and present, Martelly has invited Duvalier, Aristide and other former presidents to official events, including the Jan. 1 independence celebrations in Gonaïves. Aristide declined but Duvalier was photographed standing next to Martelly. 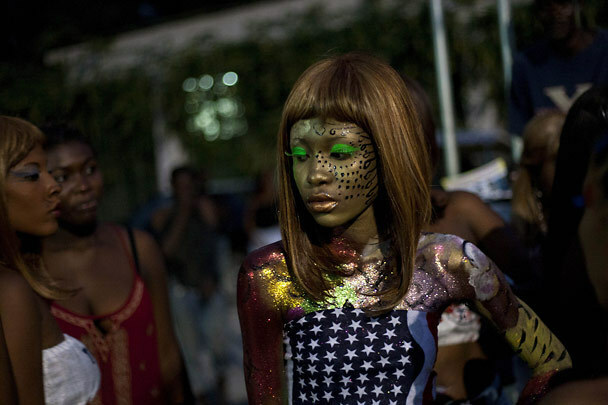 PORT-AU-PRINCE — Carnival may be more than a month away, but that’s not stopping Haitians from launching the party early. A week after marking the fourth anniversary of Haiti’s tragic Jan.12, 2010, earthquake during which their singer-turned-president urged them to celebrate life, Haitians kicked off pre-carnival celebrations Sunday. Jumping and dancing into the streets, they transformed a downtown public square that once housed tens of thousands of quake victims under tents, into a musical stage. Oversized floats, DJs and enthusiastic Rara bands took over the Champ de Mars in front of the razed presidential palace as part of the weekly carnival warm-ups that will take place between now and carnival weekend, March 2-4, in the city of Gonaives. Like in the last two years, Haiti’s official carnival celebration will rotate this year outside of the capital. Carnival drums, however, were not the only rhythms playing Sunday in this quake-recovering capital. Uptown in Petionville, hundreds of jazz fanatics enjoyed the second day of the Port-au-Prince International Jazz Festival in the capital featuring Daniel Schenker Quartet of Switzerland, guitarist/vocalist Lionel Loueke from Benin and Haiti’s Réginald Policard. The musicians performed at the NH El Rancho hotel, one of several newly rebuilt and opened post-quake hotels in Haiti. “In North America, there is just very sad press about Haiti, about poverty and despair, but no one is touching on the spirit of the people,” Canadian jazz artist Julie Michels said at a Sunday brunch hosted by Canada’s Embassy to welcome the jazz festival.